After I finished university last year, I moved back home to Coldingham. One day, my mum said she had been told about a new Church in Berwick called Waypoint Church and that’s all the information she had about it. I had stopped going to church whilst at University and had lost touch with my faith, so I wasn’t actively looking for a Church or even sure I wanted to go back to Church. However, I knew something in my life was missing and when my mum mentioned Waypoint I felt like this could be a way to finding an answer. It took me a couple of weeks to actually go along, but on Remembrance Sunday I felt like something was pushing me to go and I went. I had no expectations and didn’t know anyone that went to Waypoint Church or who had been before. I get nervous going to new things and meeting new people; but as soon as I opened the door to Waypoint Church I was welcomed with open arms (literally with Kirsten hugging me!) and my nerves reduced just that little bit. Then I thought this could be awkward, as I looked around and there was only a handful of people there. However, it became clear that this didn’t matter as love and kindness filled Waypoint Church, just the desire to meet with God and worship His name. Just meeting Jonathan and Jenny and hearing more about the church; I knew that the way they talked with so much passion and joy about the Church and God that Waypoint Church was a special place. Therefore, I needed to find out more about both God and the Church. The service started and the more I listened the more excited and the less nervous I became. Once, the service had finished I was offered prayer and invited along to the Alpha Course which they were running. Over the next few weeks, I continued to go to Church on a Sunday, small groups and socials. The Church services suited me; I loved the dedicated time to worship and meet with God, the sermons I have always learnt so much from and there is always lots of coffee and cake! Normally, I try something for a couple of weeks and then I stop going, but this time was different; I felt like I belonged and that despite my past I was being accepting as I was. I was entering a new spiritual family. I could grow my faith at my own pace and have a church family to support me in my journey. So, I kept coming back and still am, as I continue my journey with God and Waypoint Church. Since that first Sunday I went to Waypoint Church, a lot in my life has changed as a result. I have rediscovered my faith and I am continuing my journey to grow more. Waypoint gives people a place to serve God. Such as I have found by learning and developing new skills; from running Waykids, helping set up Church, writing teaching, administration tasks and most recently playing in the worship team which is something I never thought I would/ be able to do. At the beginning of the post, I quoted Hebrews 10:24-25. 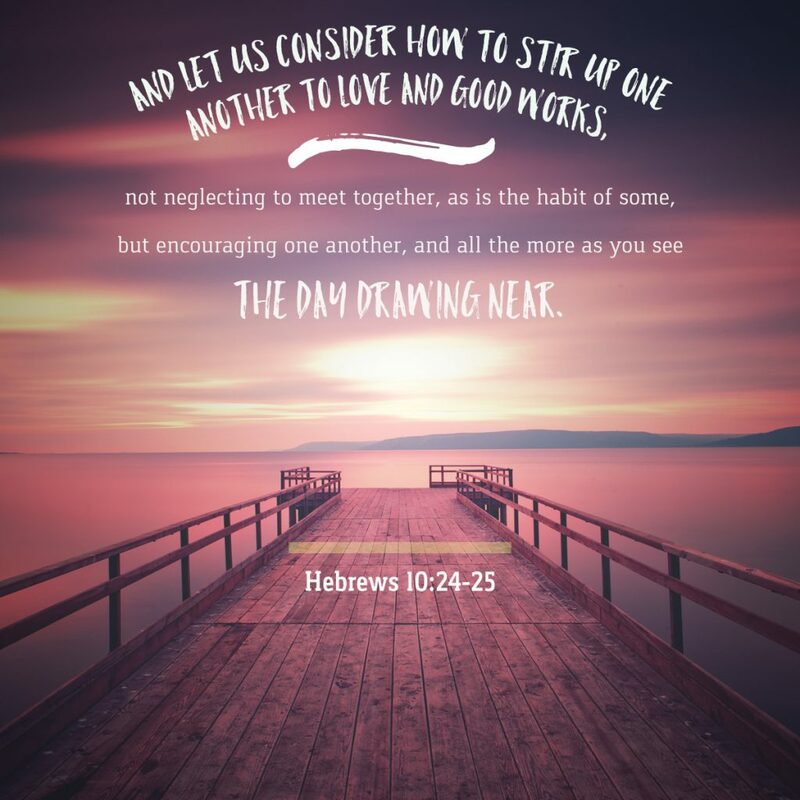 I believe this passage portrays what Waypoint Church is doing; welcoming everyone in and supporting one another no matter what part of the journey they on, accepting one another as Christ accepted us. Making the first step to going to Waypoint was a difficult decision but probably the best decision of my life. Not only have I met with God, but I have met some of the kindest and most generous people I have ever known. Waypoint is still fairly new but growing all the time, with a clear vision and mission. There is always something going on at Waypoint and this makes it an exciting and extremely special place to be a part of. If you don’t believe me, you will just have to come along and experience it yourself!